Kristen Ruhe is a graphic artist, interior stylist, photographer, and a momma to three adorable children. With everything on her plate, we were surprised when she shared this photo of her eclectic living room space. But, we're so happy she did, and we just had to pass it along! 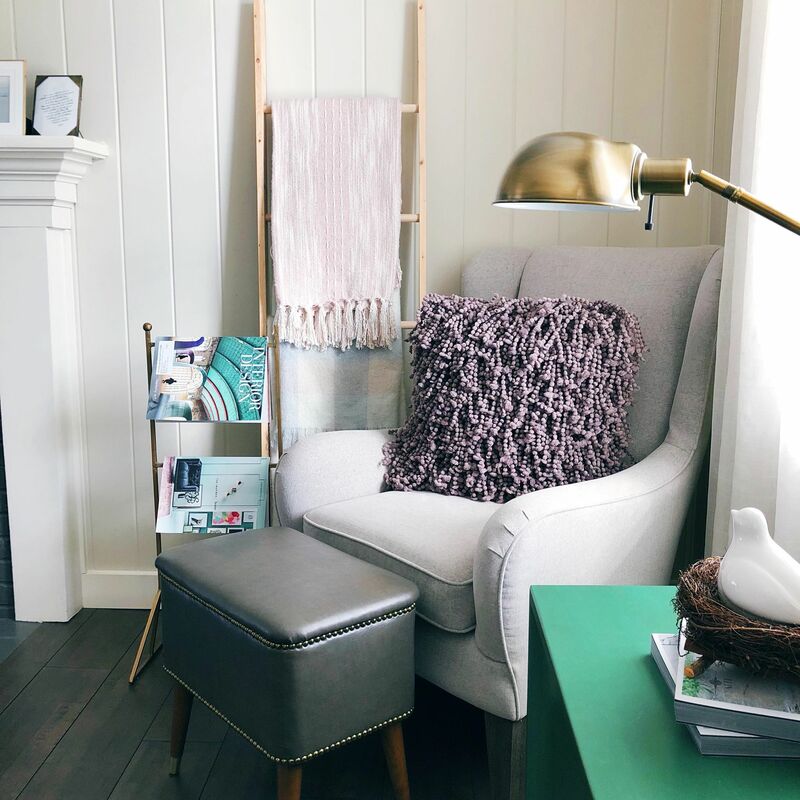 Below is the inspiration behind the details of this cozy spot. A beautiful wingback Best chair, the Lorette, finished in a soft warm linen textile sets the tone for your entire area, giving an often unused corner space new life! 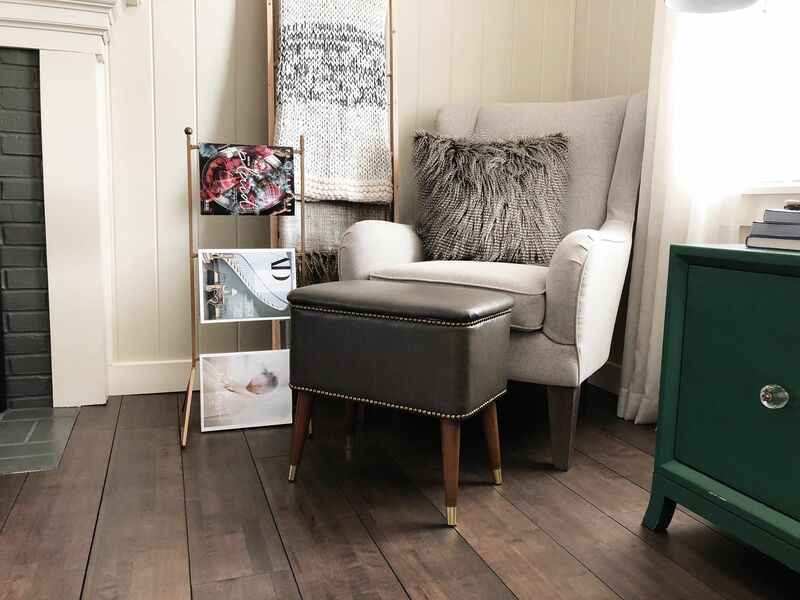 Combine the modern classy style of this chair with a family heirloom ottoman (also finished in a Best leather) and you have a look that is timeless. I love a special vintage piece combined with new especially when that piece has meaning. The ottoman was my grandma’s old sewing bench that I had reupholstered and used as a storage space for kids games. Next to it is a magazine rack found at a going out of business sale for a local craft store. Add texture to the space with pillows and throws, and voila, you have an entirely new sitting area in your home! Grab a cup of coffee and a good book and curl up in that cozy seat!